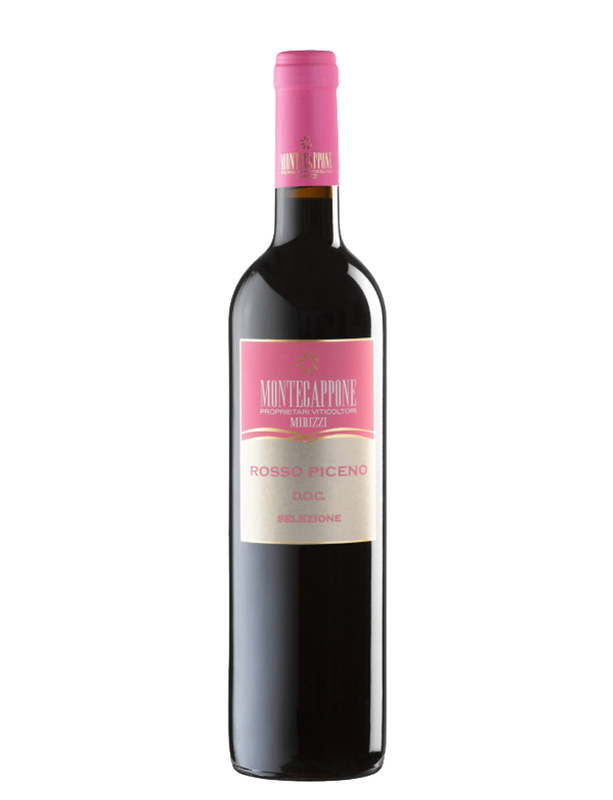 The Rosso Piceno is a wine suitable for aging, in fact, Montepulciano and Sangiovese are vinified separately with maceration on the skins of long duration. After aging in barriques for about 8 months in the cellar and 4-5 in the bottle, we get a very concentrated wine with very healthy fruit. Vinification: Maceration with the skins for 6-8 days; devatting and temperature control after fermentation at 24° C.
Taste: Fresh and full-bodies in the mouth, with a round but pro per tannic aftertaste. Food pairings: Gnocchi with duckling sauce, tagliolini with hare meat sauce, chicken “alla cacciatora”, and rabbit “in porchetta”.